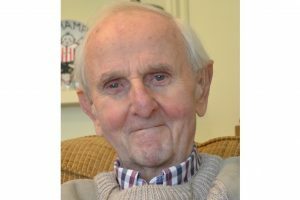 It is very sad to hear about the passing of Peter Dawson, a lecturer in the Department of Government from 1964 to 1994. His teaching focused in particular in the area of Public Administration with particular emphasis on development administration. I was his tutee (as it was then called) in my first year as an undergraduate student. This was also his final year in the Department. Peter has shaped my outlook on studying at LSE ever since the first meeting in his office in Lincoln Chambers. In those days, initial appointments were made by postcard to be found in the departmental pigeon holes (those tutees who didn’t make it past the Three Tuns to check their mail received a letter from Peter to their parental home). I approached the first meeting with considerable trepidation: confused by Alan Beattie’s discussions about the powers of the Prime Minister and in awe of Janet Coleman’s Plato. I was soon put in my place. Pointing out that he was wearing an imaginary dog collar, Peter told me that being at LSE was an honour not to be thrown away by engaging with silly pursuits such as sports. To ensure I kept up my library attendance record, I was given the task to write an essay on ‘Does the UK need a written constitution?’ This essay – delivered in handwriting a few weeks later – was dissected, if not taken apart, word by word; although I remained unsure how strong the disapproval of my rallying call for a written constitution actually was. I was then let off writing further essays – largely because of some decent grade awarded by Matt Matravers on an essay on Cicero. I will also not forget his handwritten note expressing disappointment at my first year exam grades. If these encounters put me in the right place, then Peter also offered me some guidance later on. A few years into his retirement, we met on the connecting bridge between East and Old Building. I had just started my PhD and his comment was that my next few years would be ‘like being a monk, just without the fun’. We last talked during George Jones’ memorial service last year and it was a delight to meet after many years. My deepest condolences to his wife Jane and his family. Peter Dawson was a former UK colonial administrator and he had a close knowledge of the practicalities of government and public service delivery in developing countries, and a keen interest in their contemporary modernization processes. He was invariably a wonderfully cheerful and encouraging colleague in meetings, seminars and social events, with a can-do approach to solving problems. He was zealous on behalf of student care and maintaining traditional academic standards, and resilient in the face of the many adverse (‘neo-liberal’) changes in academic life since the 1980s. An active member of the department even after his retirement, he will be much missed by colleagues who knew him, and by his many former students. I want to add that Mr Dawson was Dean of the Graduate School and well known to many students ..